Is it any good? It certainly puts the Wars in Star Wars, that's for sure. Parents might wish to know this plays a bit older than the other official instalments, adopting a grittier, less playful tone which might rattle moppets expecting cute aliens and funny robots. Presumably this is a deliberate attempt to distinguish it as 'A Star Wars Story' as opposed to part of the main saga, although it does well to recreate the 'old' look of the original Episode IV, which is important for continuity as events take place immediately prior to that film. It does take a while to get going though, with some location-jumping backstory and too many superfluous characters which might appeal to die-hard fans but doesn't do the film any favours. Call me old-fashioned but in this sort of (wo)men-on-a-mission narrative, I'd have preferred they had used this time to, oh I don't know, perhaps create some characters and relationships we actually give a damn about? Like in Episode IV? 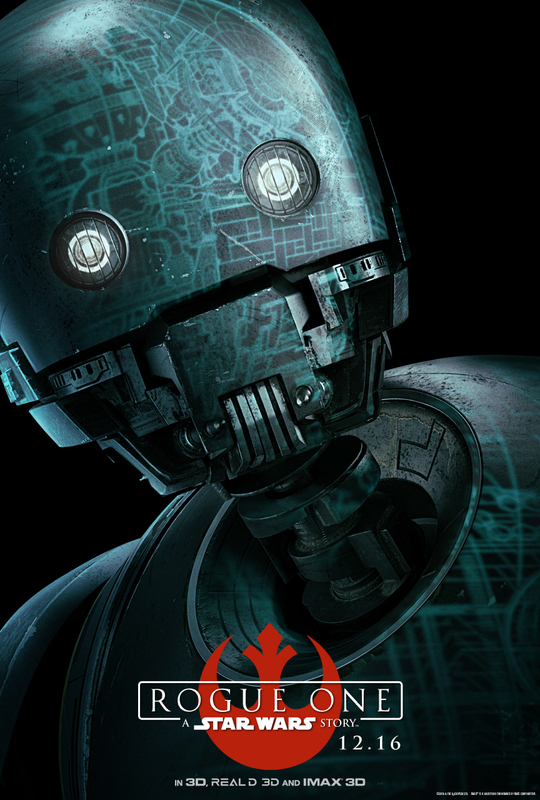 As it is, Jyn Erso (Felicity Jones) and her team of one-dimensional misfits (Diego Luna, Riz Ahmed, Jen Wiang and the utterly wasted Donnie Yen) get no chance to engage our emotions - only new droid K-2SO threatens to actually make us care. Given the outcome, it's a real missed opportunity to 'give this thing some gravity', to quote one old cast member. 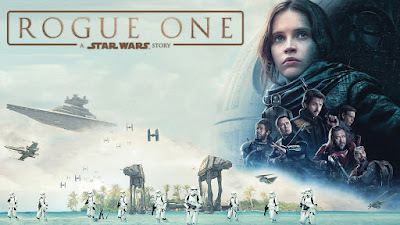 Nevertheless, once the main action kicks off, handsomely filmed against a Maldives atoll, it's diverting enough to keep everything ticking along frantically to a finale which ties into the original trilogy in satisfying fashion. A solid war movie, then, but not a warm one. Anything else I should know? Of course - this is Star Wars, remember? There's any number of spoilers and Easter eggs to know about if you want to delve headfirst into the Star Wars universe. For me personally, perhaps the most impressive - and somewhat controversial - use of CGI in the film concerned one particular character which sne me off googling 'How did they do that?'. Read about it here and about all the various in-jokes and fan references here and here. Spoilers ahoy, obviously. What does the Fonz think? 12 times less good than The Dirty Dozen and 7 times less good than The Magnificent Seven, but still better than all the other Star Wars prequels.